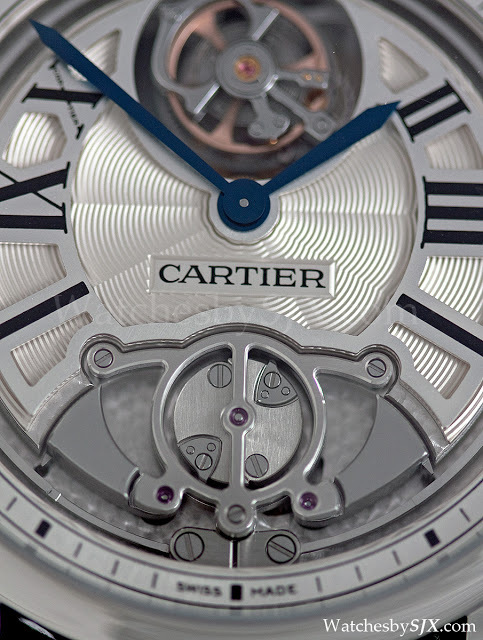 For each of the past few years Cartier has unveiled a grand complication wristwatch using a Renaud et Papi movement featuring tourbillon, perpetual calendar and monopusher chronograph. 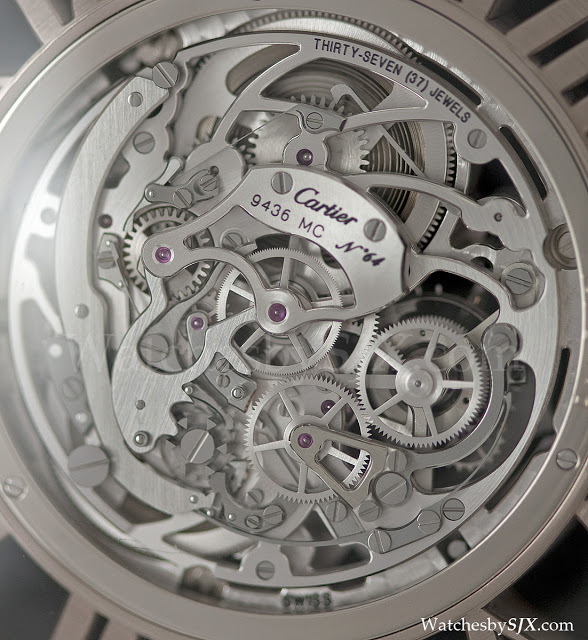 For 2012 the same calibre will be housed inside a beautifully executed pocket watch, the Cartier Grand Complication Skeleton pocket watch. 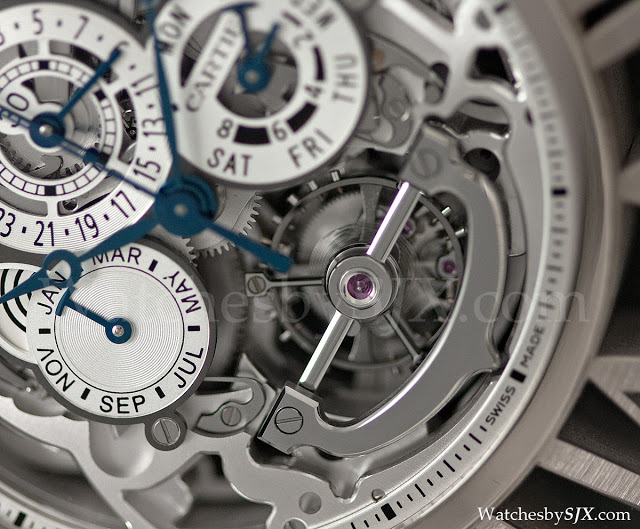 Along with the new Rotonde minute repeater, these are the most complicated offerings in store for SIHH 2012. 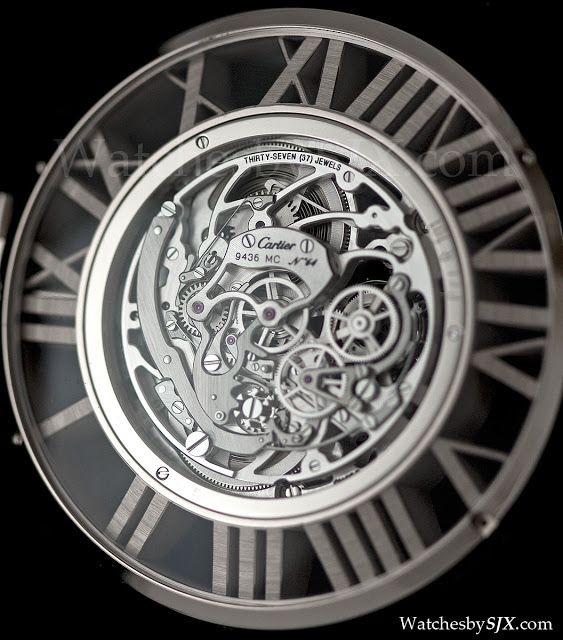 The skeletonised Roman numerals are solid white gold and hand finished with carefully bevelled edges, like the bridge of a movement. 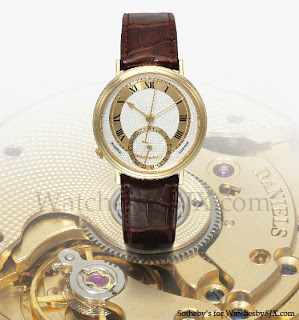 This design was inspired by Cartier pocket watches from the thirties. Overall the case is 59 mm wide. 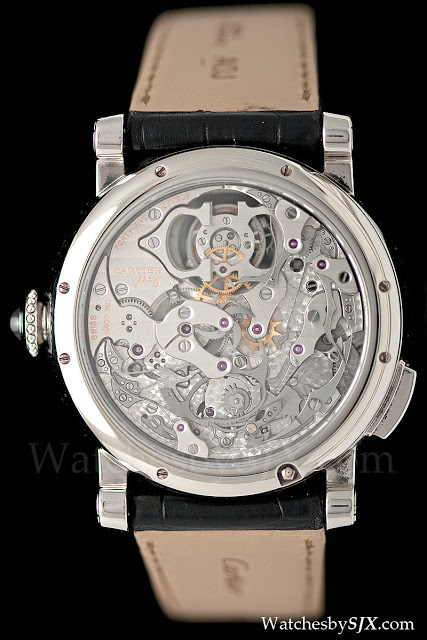 Each of the correctors for the date indications run through the skeletonised Roman numerals to the outer band of the case where pushers are located. 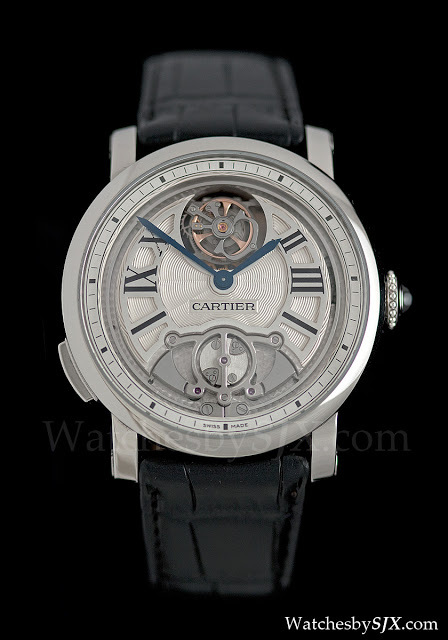 To hold the watch Cartier includes an obsidian and rock crystal stand, along with a white gold chain and fob. 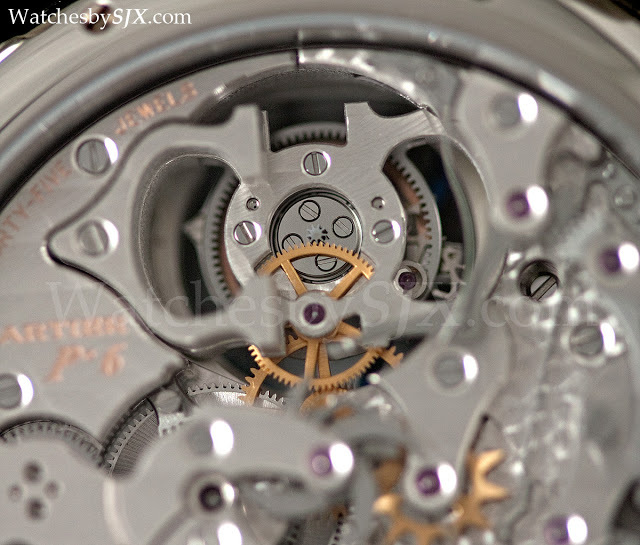 In previous years I was lukewarm about the grand complication, as I thought it was expensive and not particularly creative in terms of watchmaking though it is immensely complex. 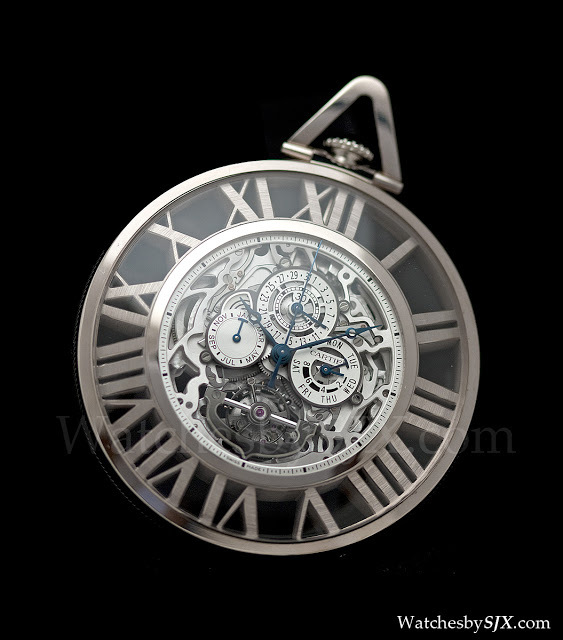 However, I do like this pocket watch, it is not only beautifully executed but also quite novel. 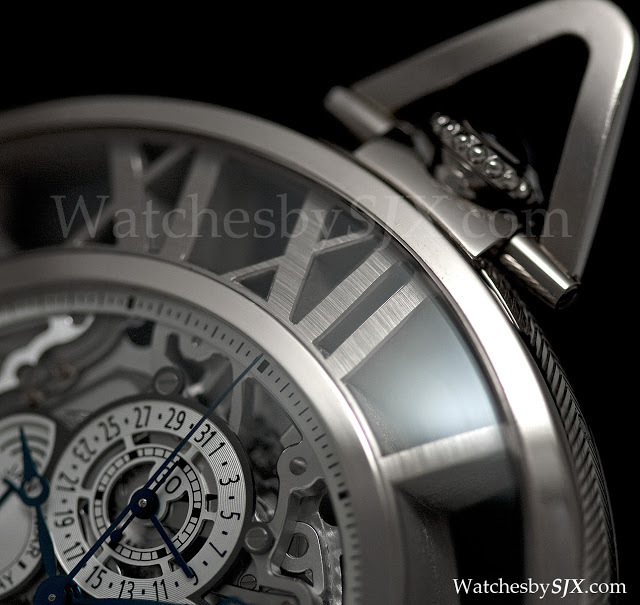 The flagship watch for the Fine Watchmaking collection at SIHH 2012 is the magnificent Rotonde de Cartier Minute Repeater Flying Tourbillon watch. 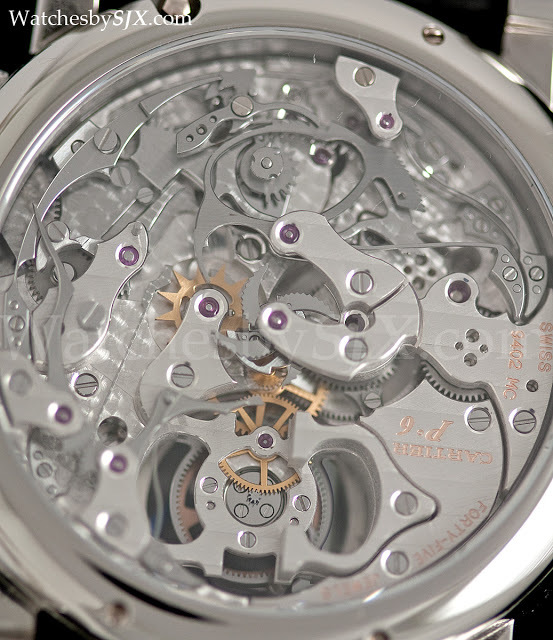 The tone, volume (68 dB) and clarity are superb, as is the finishing (the movement has the Geneva Seal). 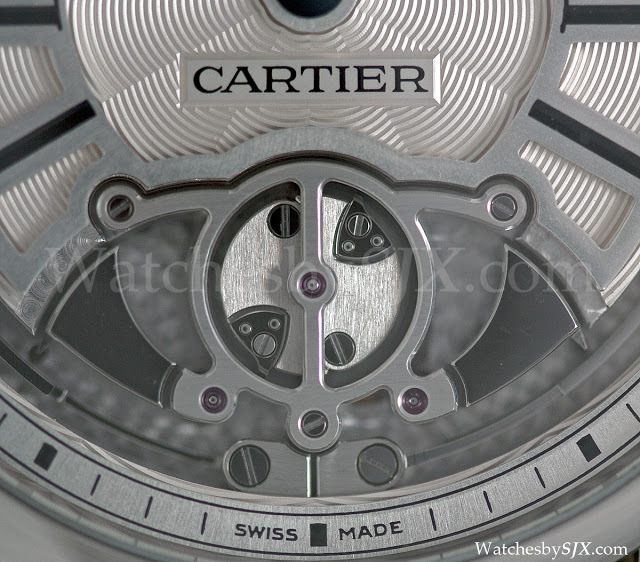 In fact this is the best finished Cartier watch produced today, in my humble opinion. 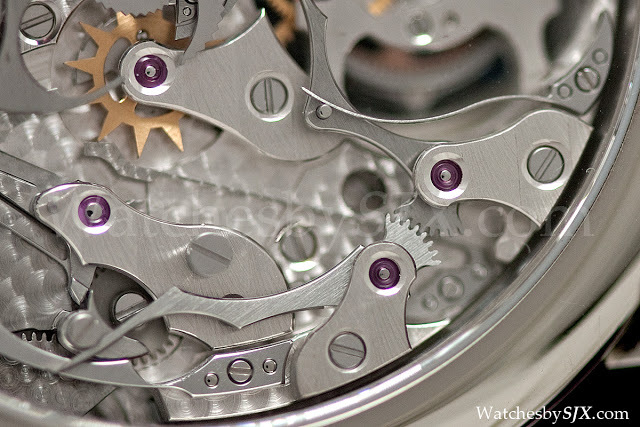 The movement is equipped with an air governor which is silent, as well as gongs with a square profile for maximum contact with the hammers. And the choice of a button rather than a slide for the repeater is to minimise the mass of the case, thus improving the volume. 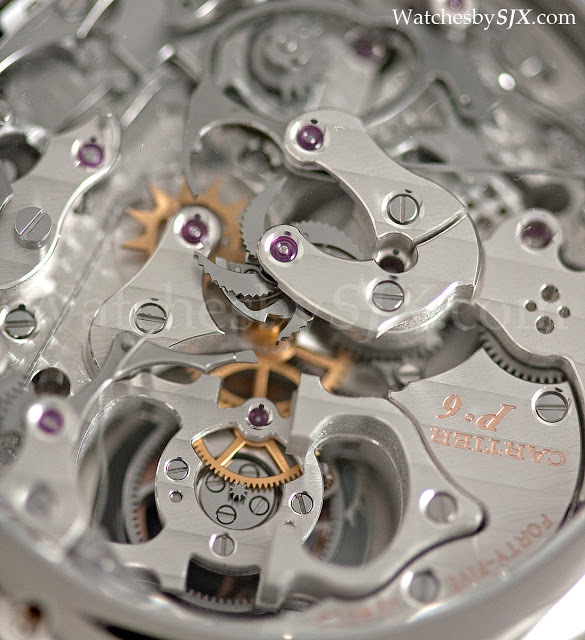 Though this is also available in rose gold, the best sounding is the titanium case version, pictured here. 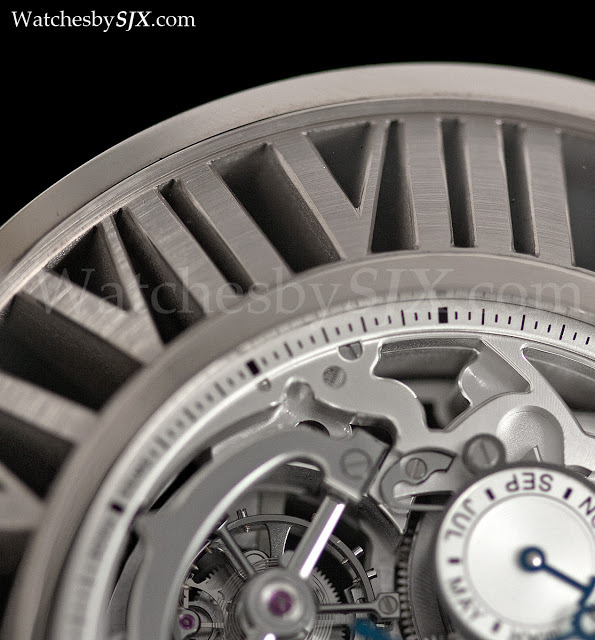 Despite being a large 45 mm in diameter, the proportions look right and the watch sits well on the wrist. I very much like the aesthetics as well. 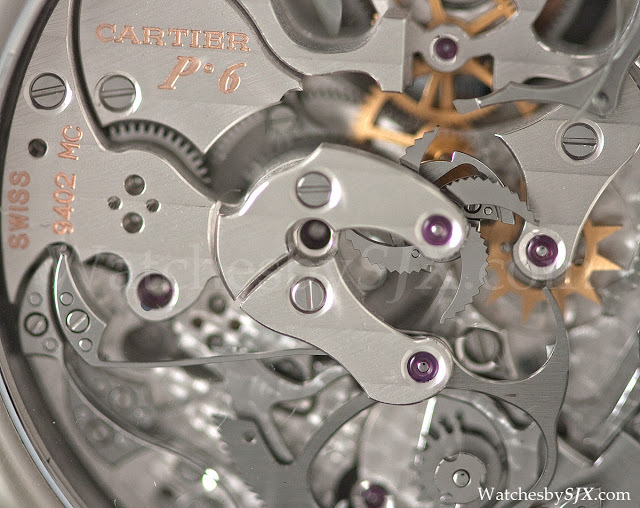 In anticipation of the question, according to Carole Forestier, head of Cartier technical development, the movement is in-house, and not derived from any Roger Dubuis calibre. 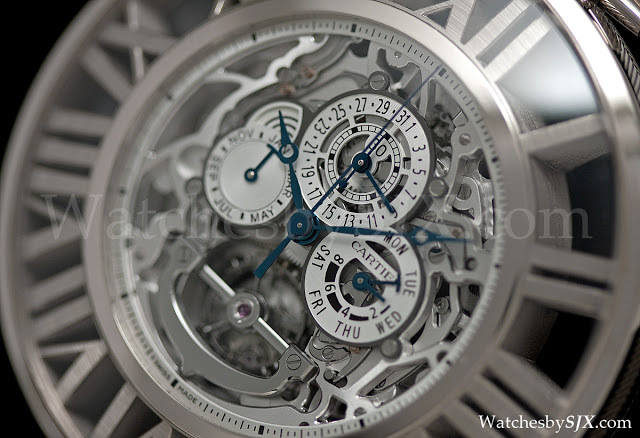 Unlike the 2011 flagship complication, the Astroregulateur, this is a traditional complication but beautifully executed, tops in terms of construction and design. Bravo!